Jesse is like most men. 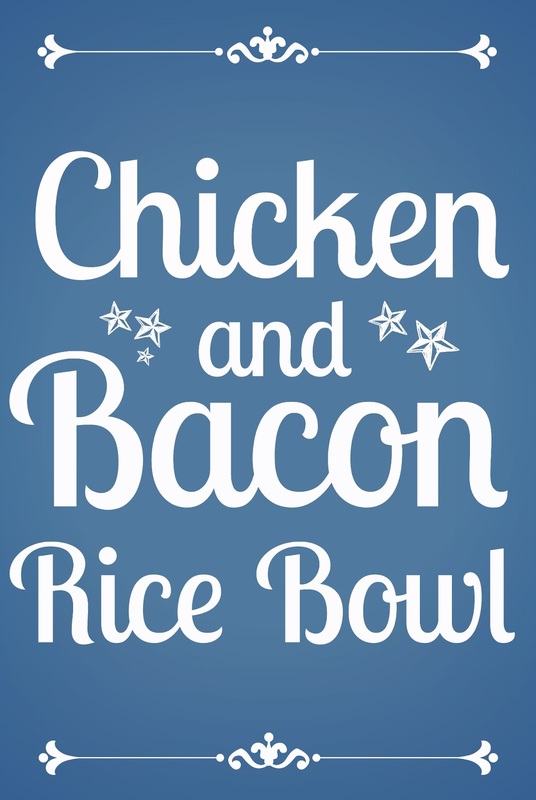 Take any food and add bacon - and you've got yourself a winning dish. 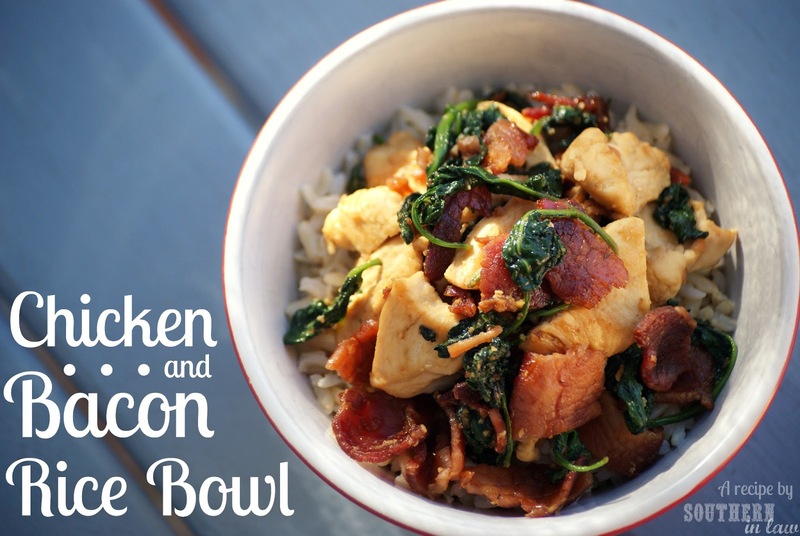 That's why it's no surprise that this Chicken and Bacon Rice Bowl is one of Jesse's absolute favourite meals. This dish is incredibly easy and so full of flavour - it will likely become a staple in your house like it is in ours! 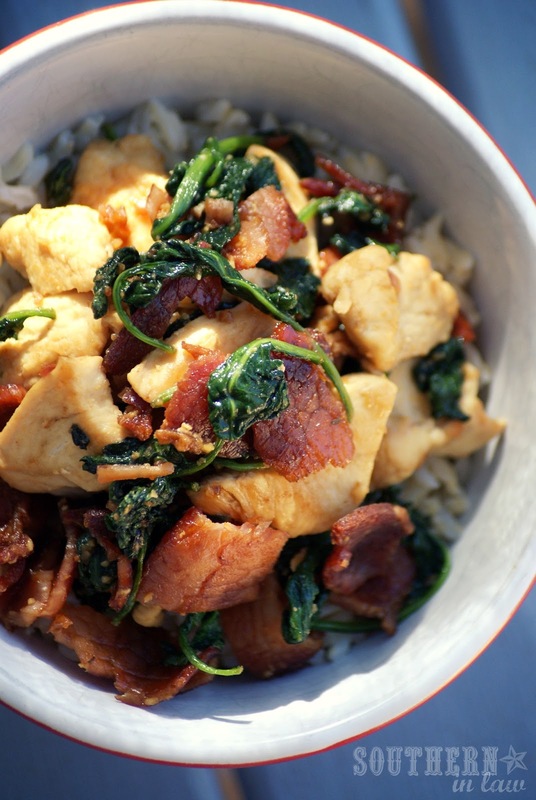 One of the biggest factors in what makes this recipe a winning dish is the perfectly cooked crispy bacon. How do you get perfectly crispy bacon without using any extra added fat? Easy - you bake it! Baking the bacon not only makes it super crispy, but it also takes a lot of fat out of the bacon making the dish even lower in fat. Just pop your bacon onto a cooling rack, place it on a baking tray lined with baking paper and bake for around 15-20 minutes or until your bacon is crispy. Turn the bacon half way to ensure it cooks on both sides and also to help it drain the fat better. Once your bacon is cooked, place it onto paper towels to drain. Salt, pepper and garlic salt, to taste. 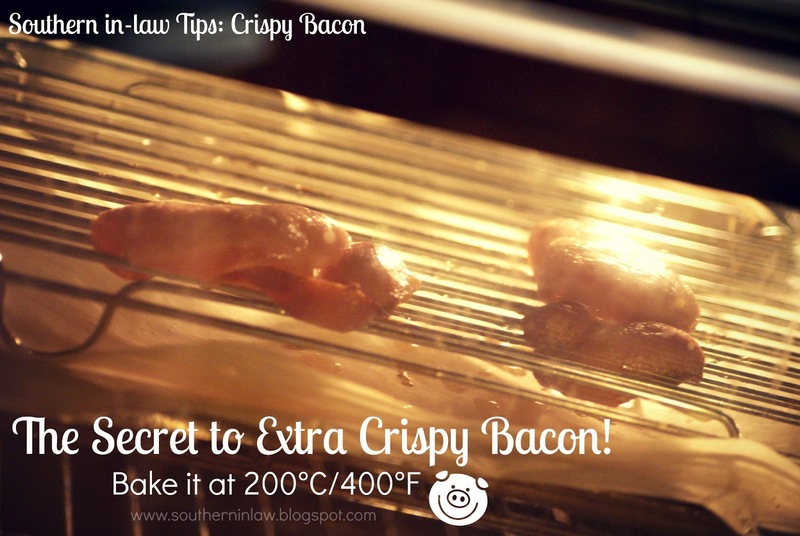 Preheat oven to 200°C/400° F. Once the oven has heated, bake the bacon as described above until crispy - remove from the oven and leave to cool before slicing. Spray a small frying pan with oil and heat over a medium heat, cook the chicken with the garlic and about 1/4 tsp garlic salt until golden and cooked through. In a small saucepan, heat the rice with the chicken stock, salt and pepper over a medium high heat until the rice is heated through and the chicken stock has absorbed. Once the chicken has cooked, mix through the spinach and stir until wilted (if you need extra moisture, add a dash of chicken stock). Combine chicken mixture with the chopped bacon and allow to heat through. 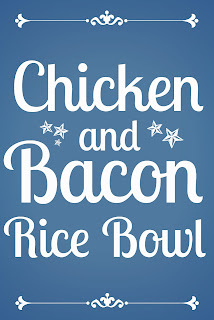 Pour rice into serving bowls and top with the chicken and bacon mixture. So tell me, are you a bacon fan? I actually hate bacon and always have (Jesse thinks this is some sort of sin) but Jesse is a big fan. He always liked the fatty fatty bacon because it becomes the crispiest whilst my family liked the leaner shortcut bacon - but I have now converted him with this crispy bacon method! It's definitely a man-favourite! I'm sure you could make it with turkey bacon as well. I hope you've had a brilliant weekend!